Artificial intelligence, machine learning and deep learning have dominated the headlines in recent years and are steadily being woven into our daily lives. With robots having already transformed several industries, the question on everybody’s mind today is: how will AI affect me and my job? 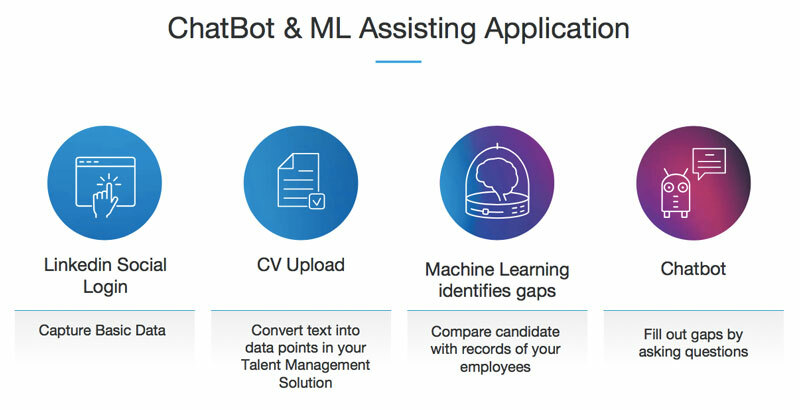 In the talent industry, AI has already become more common with the use of soft skill assessment tools and chatbots. And, according to Przemek Berendt, VP of Global Marketing at technology service provider, Luxoft, there’s a lot more to come. 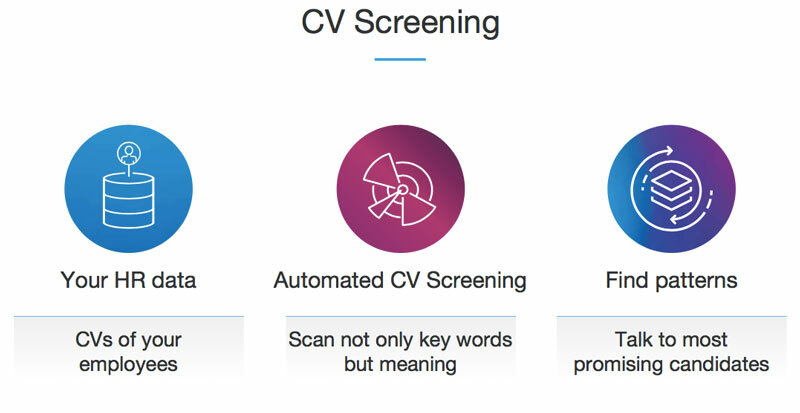 As a former software engineer who also built the company’s employer branding team, Przemek is uniquely placed to discuss the ways AI will reshape talent acquisition, which he shared in his talk at Talent Connect 2017. In his talk, Przemek explained the four ways that AI can work – with or without human interaction. He predicts that the biggest benefit to recruiters will come from hardwired systems that still require human interaction. 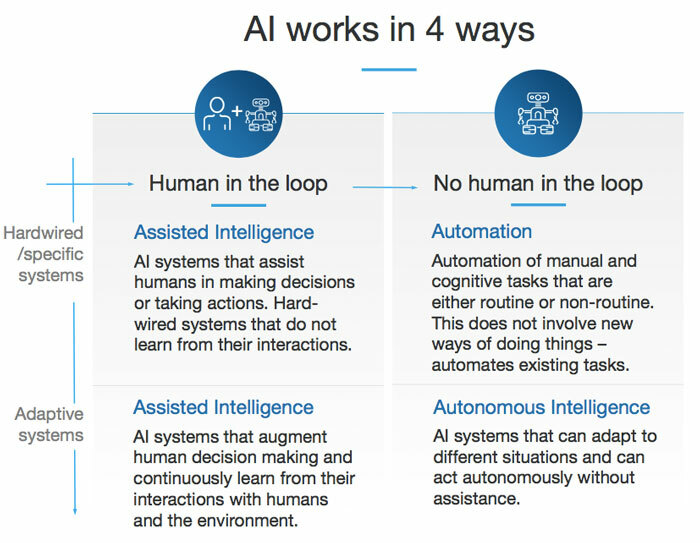 Such AI will automate more menial, structured tasks (like data collection) while enhancing ones that require a human touch. “We will be able to process more talent, and speak to candidates on a one-on-one basis,” he says. Since many of these technologies are beginning to blossom, you can get ahead of the curve by exploring them today. To help, we’ve outlined Przemek’s predictions on how AI will reshape talent acquisition. From his position in marketing, Przemek has seen first-hand just how effective programmatic advertising can be. And, he thinks recruiters will embrace it soon, or face losing out. Essentially, this technique gives you the ability to place highly targeted ads in front of the right people at exactly the right time, based on their browsing history and online activity. Advertisers can understand your browsing activity using cookies—small pieces of data that follow you as you visit different pages, acting as a unique ID. You can use similar cookies to track candidates who visit your career page, allowing you to compile records of what other pages they’re browsing. By using data management processing (DMP), you can then select a target set and find other candidates who match up. For example, by looking at prospective candidates browsing histories to spot phrases they’ve Googled and websites visited against those used by local talent who visited your careers webpage. Plug this data into an online advertising platform and it will make sure that a specific group of users sees your job posting, wherever they are, expanding your reach significantly beyond the local talent pool. For example, if you wanted to hire a salesperson, a candidate who’d been browsing similar positions online might see an alluring ad for your company’s position at just the right moment. This can help you grow the top of your funnel with qualified and interested talent from different regions. LinkedIn already offers similarly targeted Job posts, shown to the most relevant candidates. Przemek predicts that AI will soon make it possible to see far more than a candidate’s job history. Using the same technology that allows companies to model our behavior based on our browsing histories and interests, you could infer a person’s interests and hidden skills. This would allow you to recommend jobs related to what they wantto do, not just what they do now. This could be especially useful for roles that are hard to fill, like a Blockchain Developer. Few people currently hold this title, but there are plenty with experience in software development who have an interest and could learn the required skills. 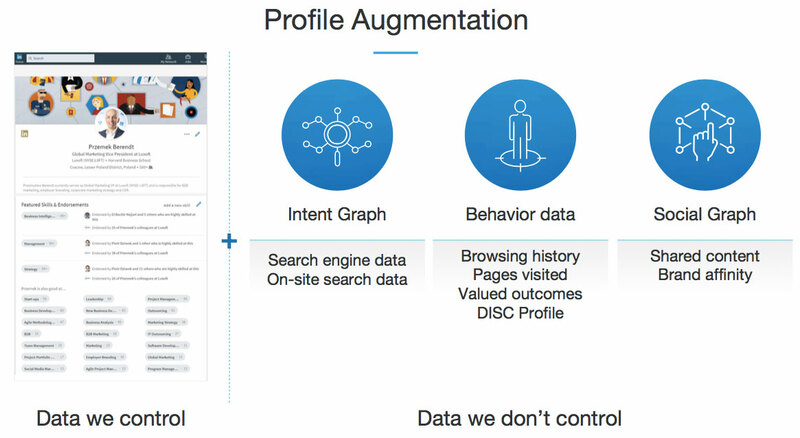 “If you were able to augment the profile of people on LinkedIn with [data on their interests, intent, and activity], you could find them,” Przemek says. But while he’s excited about the possibilities of profile augmentation, he hasn’t seen any vendors offering this just yet. 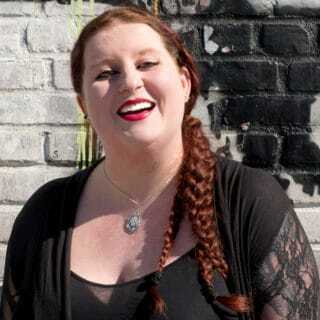 But, Przemek says companies will soon develop thousands of personas, allowing recruiters to quickly hyper-personalize candidate outreach to speak more directly to an individual’s needs. 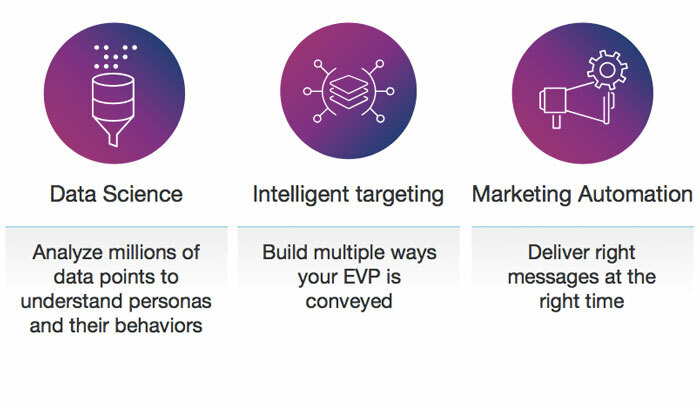 Using tech that exists today, like intelligent targeting and Crystal Knows, you can attract people using a value proposition that’s tailored exactly to their needs. For example, you’d know if a candidate was considering buying a home and could give them some info about your company offering a loan program as part of its benefits package. For a single parent, you could let them know about the on-premise kindergarten or childcare support. Some companies are already using chatbots in recruiting. Sutherland, for example, uses a bot called Tasha to answer basic questions from an applicant, responding anytime of the day or night. As well as becoming more ubiquitous and freeing up more of your time, Przemek sees bots fulfilling another purpose. Tools like Mya can decode a candidate’s responses through Natural Language Processing to spot certain skills. Mya can also ask questions to fill in gaps in the candidate’s résumés, giving recruiters a clearer picture of their suitability for a role. Some companies are already using résumé screenings to find talented candidates and remove unqualified ones. Przemek sees this automation becoming widespread. These solutions can quickly and effectively compare prospective candidates to those who’ve proven talented in the past. With this data, you can more efficiently find those best suited for the job. You can learn a lot about a person from the way they talk. Soon, Przemek thinks AI will help you learn even more—analyzing more than just the words themselves. 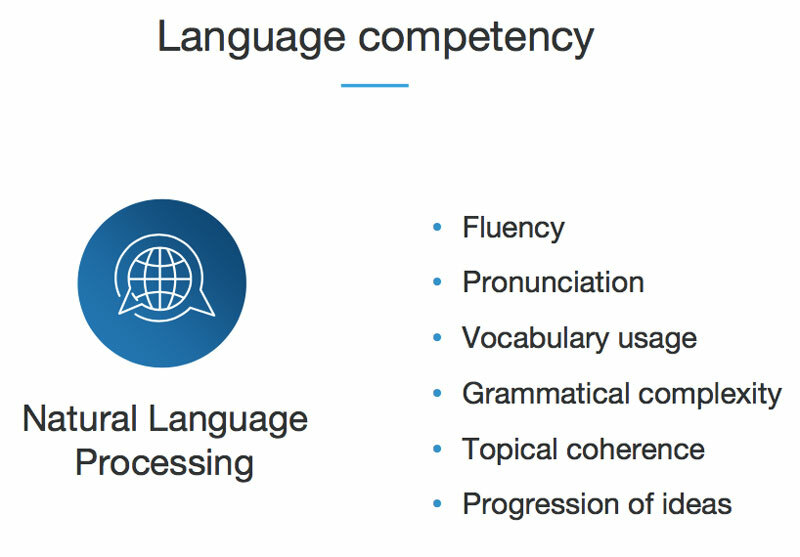 “There are solutions out there that use natural language processing to check the fluency of the speech, the pronunciation, the vocabulary and even the progression of ideas,” he explains. This is great for checking language competency when hiring in diverse markets, but it will also be useful for testing native speakers. The AI will analyze their speech to learn what type of person they are and tell you how engaging or trustworthy they sound. For jobs where talking plays a big part, like sales, this will be particularly important. In this case, as the candidate talks to the machine, and the machine processes their speech to give you a detailed report, there is no need for human interaction—a huge time-saver. Language fluency isn’t the only skill that machines can be used to detect. 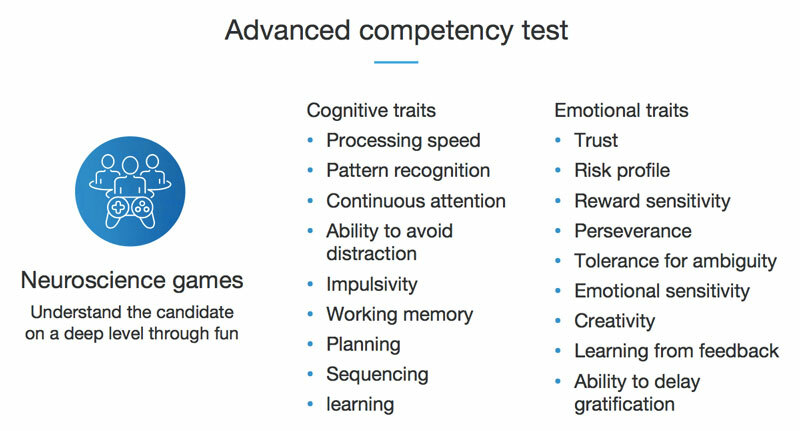 Advanced competency tests can tell a lot about a candidate—all from a fun and easy game. These games are a great way to test for soft skills that may otherwise be difficult to detect, like problem solving. They can also help recruiters assess a candidate’s willingness to take risks. Companies like Pymetrics are already doing this, but Przemek thinks that soon they’ll be used on a much wider scale. Przemek believes that video interviews will soon become much more prominent, with a slight twist. 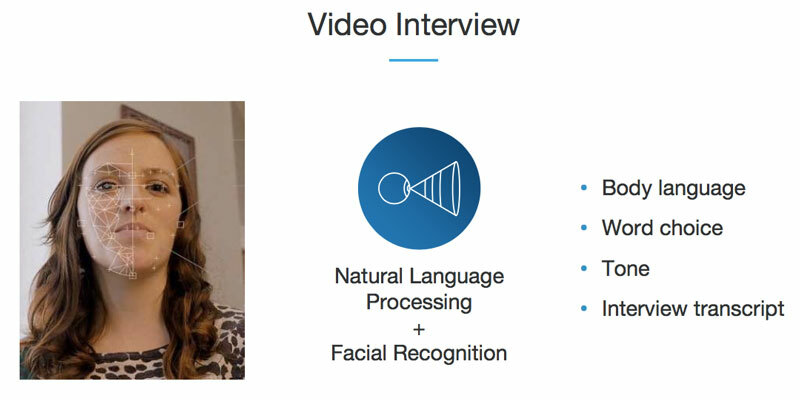 In a future video interview scenario, a candidate may only have to speak to the camera while the machine takes them through a list of questions. This will free up a lot of time for recruiters, who can still meet with top candidates but won’t need to laboriously interview every single applicant. It might also help eliminate unconscious bias, since the technology won’t have the same hardwired preconceptions as humans. In fact, you might not even have to watch the video interviews to learn whether a candidate is well-suited for the role. 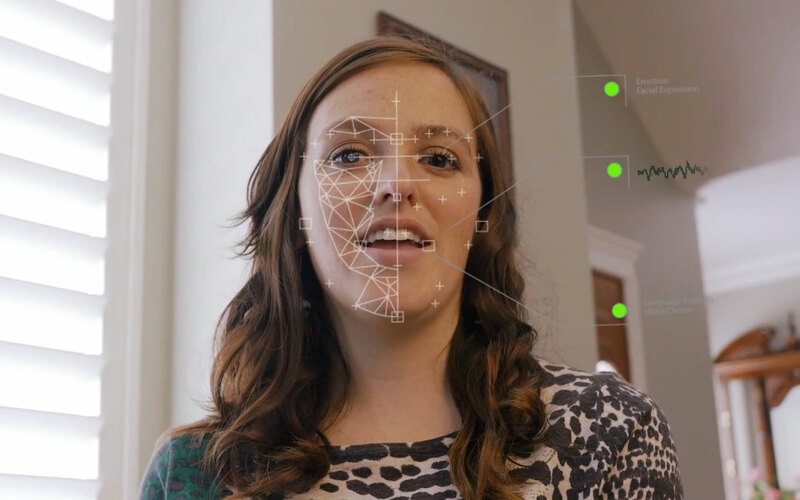 Companies like HireVue use facial and speech recognition software to analyze the candidate’s body language, the tone of their voice, their stress level and more. Przemek’s final prediction was a simple one: automated appointment setting will help recruiters quickly and easily schedule meetings with candidates. There is already software that can do this by looking at your calendar, asking a few basic questions, and offering viable options to the candidate. Of course, Przemek’s predictions show that the human element won’t disappear entirely from recruiting. Meeting with candidates to give them a good feel for your company culture will remain vital. With so much automation elsewhere, your time will be freed up to focus on things like the candidate experience, so these meetings could become even better. As AI starts taking over more manual tasks, some recruiting roles will be at risk. But new roles will emerge. Some specific new roles that we may see created are career coaches and career engineers, according to Przemek. The former will use data and AI to analyze the performance of prospective candidates and offer them an enticing role, while the latter will use this same information to help candidates plan and build their career. 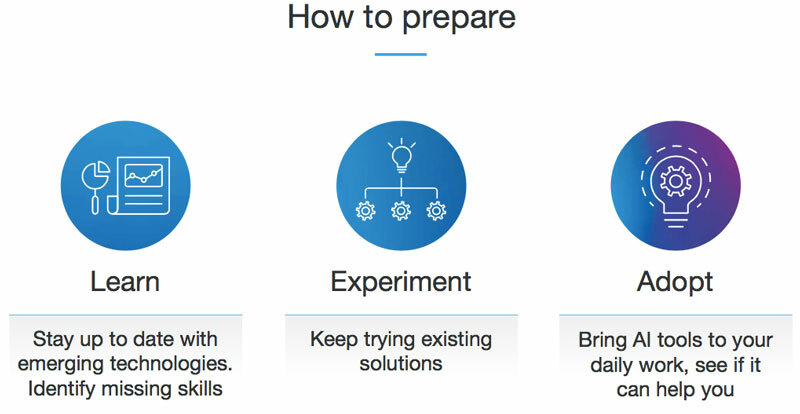 To prepare for the future, Przemek recommends that you do three things: learn, experiment and adapt. Try to stay up to date with emerging trends by watching what other companies are doing and experimenting within your own company to see how AI tools can enhance your daily work.